Wilbers 640 shock -50mm exchange. - . : XT660.com - The #1 XT660 Resource :. 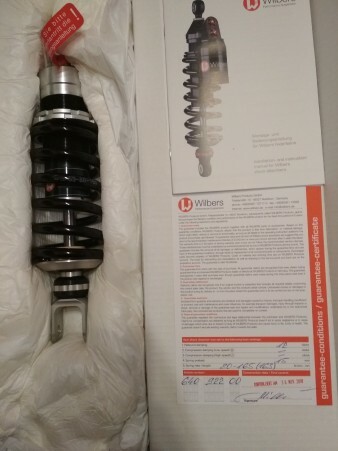 Wilbers 640 shock -50mm exchange. Wilbers shock, it's the one with spring preload and rebound damping adjust. I have done only 250kms with this. 300€ plus shipping to EU. just an easier option woud be to go ahead and install this shock and work with shorter dogbones to compensate for the lack in height. this way you"ll get sorted faster and easier. It's for xt660z & xt660z ABS 2008 - 2016.